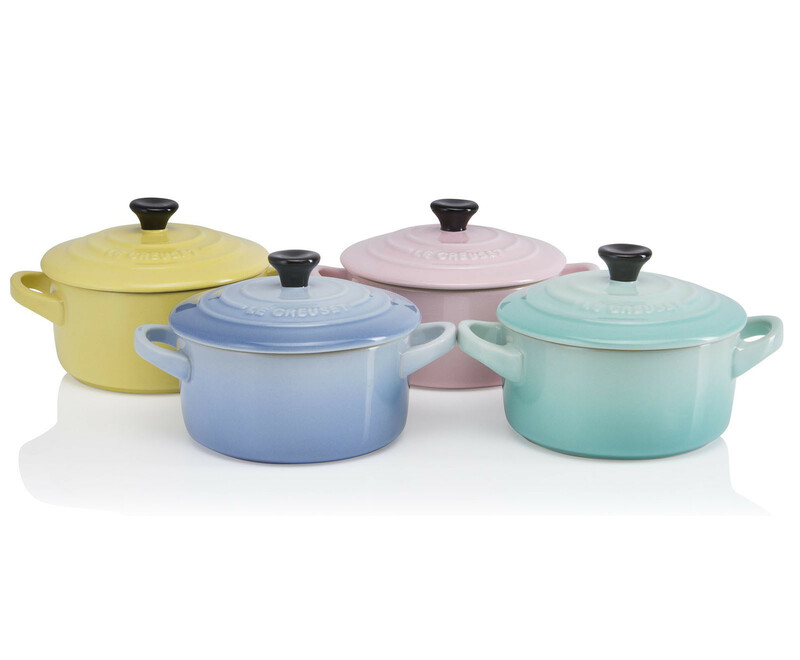 Le Creuset has long been the cookware of our pastel dreams. 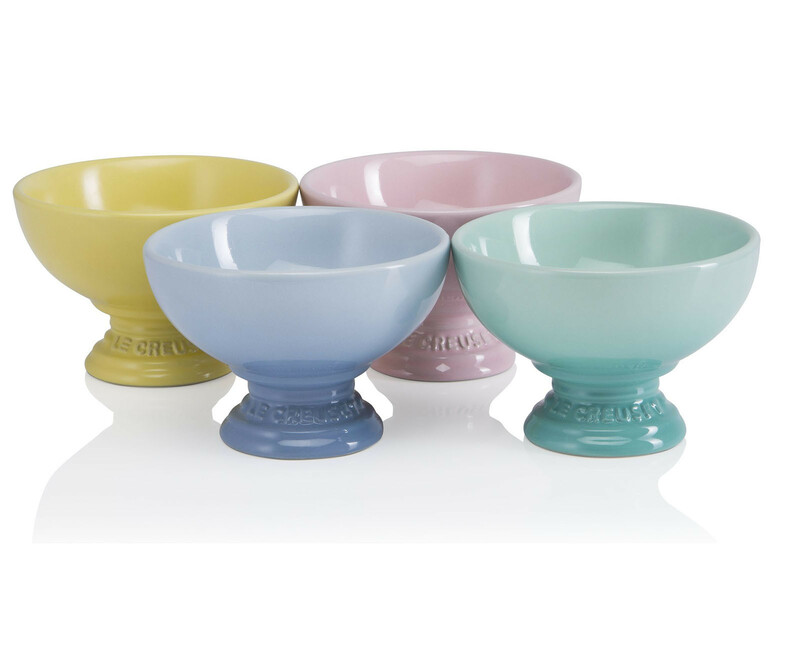 They're just so classic, and since basically all of our grandmas had them at one point or another, they're also nostalgic. 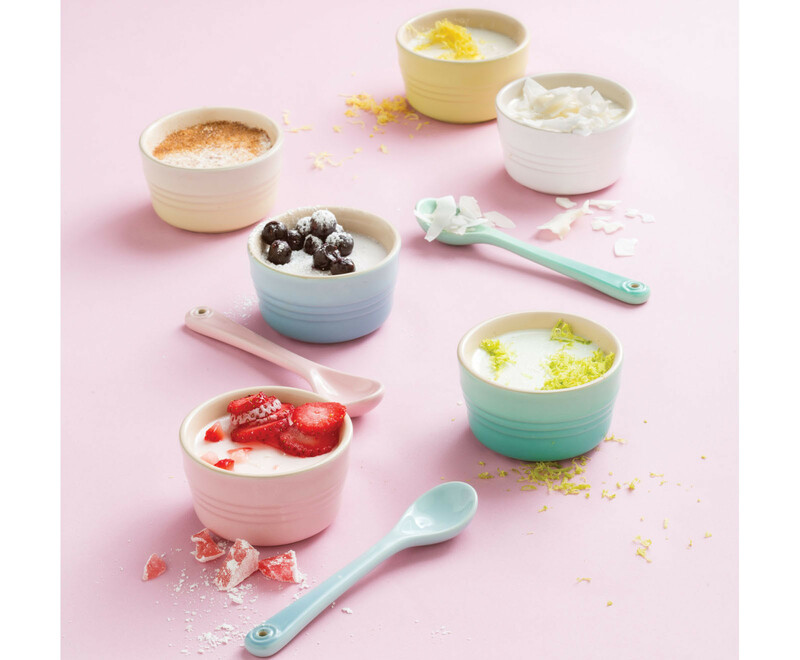 But when each pot costs upward of $100, it's hard to make the investment ourselves. How many casseroles would it take to make the purchase worth it? A lot. 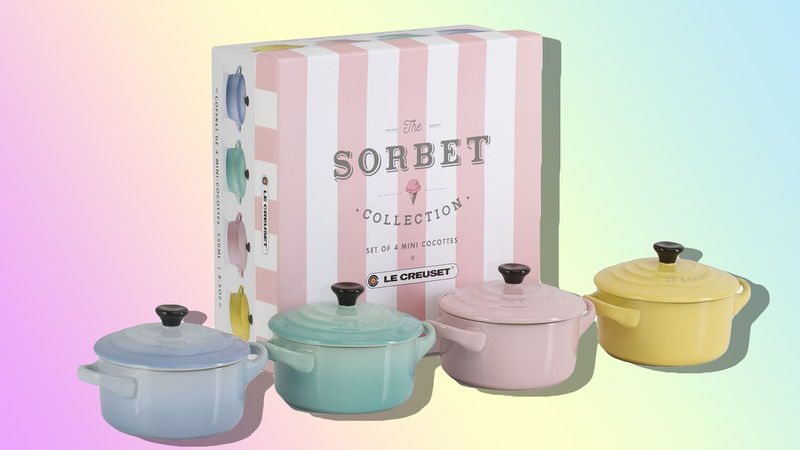 Well, we've got some good news: You can get your own Le Creuset cookware for way cheaper with their new Sorbet Collection. 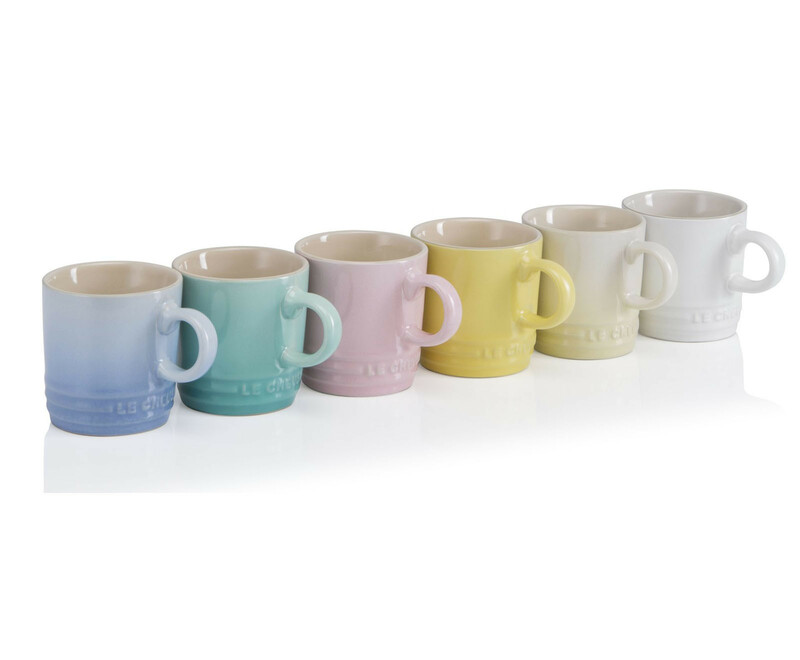 The collection is just as cute as their traditional lineup, with similar light, feminine colors. The downside? It's mostly things in miniature. 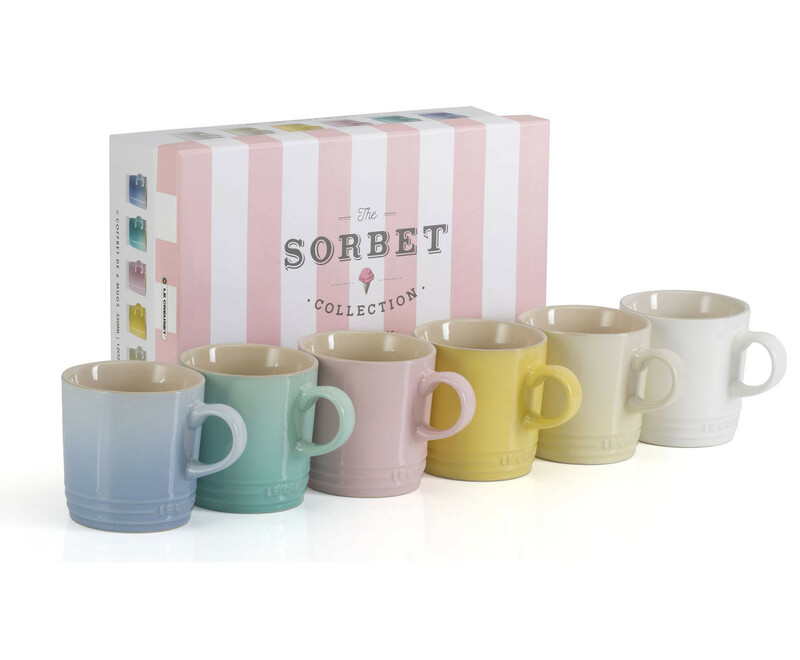 It is the Sorbet Collection, after all. 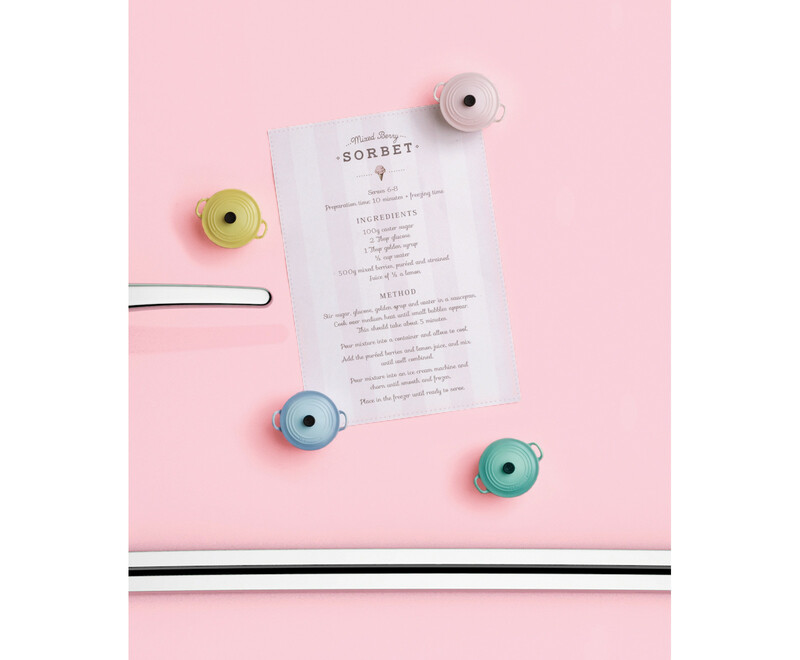 Think ice cream bowls, palm-size cocottes and adorable fridge magnets. 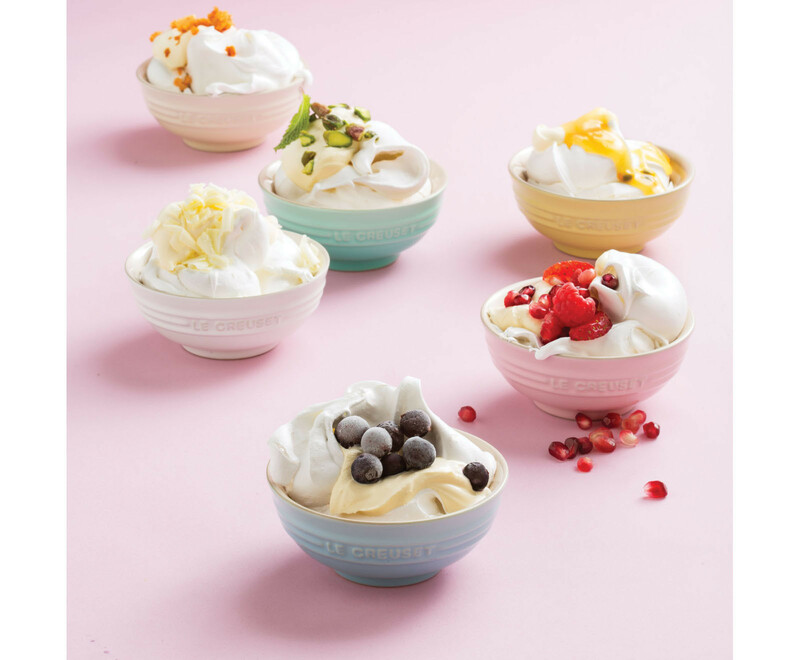 But that's OK. We'll just cook a bunch of very, very tiny cakes. 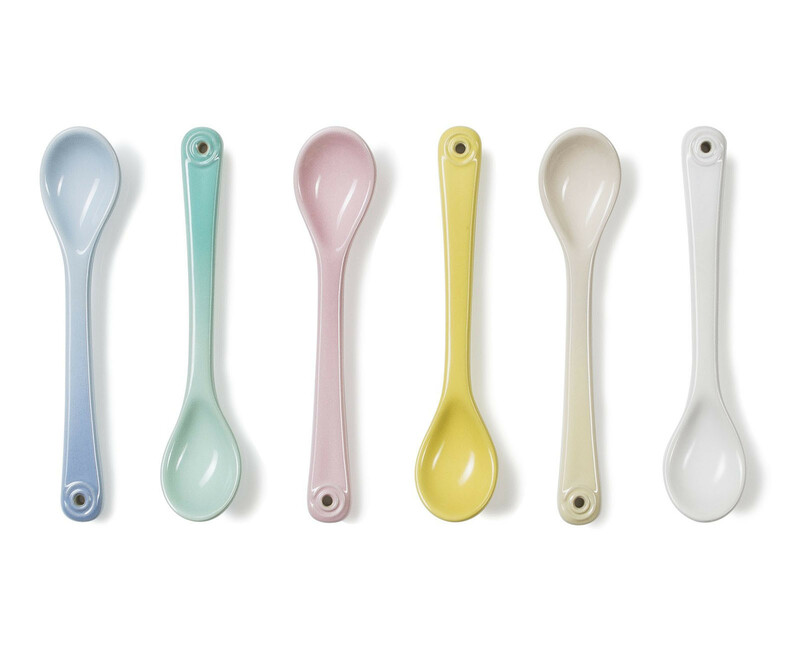 Especially since all these dishes are less than $100 for a set of four.